A general consulting agreement is a legally binding agreement about the nature of working relationship between two or more researchers in a research project. It must be executed, or signed, prior to the starting of the project. It specifies about the intent of the parties to share data, research materials and facilities, and to publish research findings. In determining whether or not a general consulting agreement was for services performed by the debtor after his/her bankruptcy was filed, the court is not constrained to follow the label which the parties put upon the document. 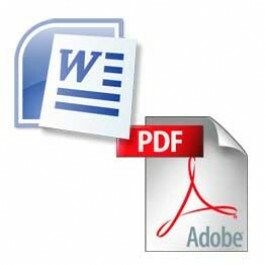 This general consulting agreement is in fillable pdf format as well Microsoft Word File. CONSULTANT shall provide consulting services regarding the of to EMPLOYER beginning on ____________________ and ending on _________________, unless earlier terminated as is provided for herein. EMPLOYER agrees that it shall reasonably cooperate with CONSULTANT in the provision of information required by the CONSULTANT. CONSULTANT shall provide his best efforts to the project consistent with the stated goals of the EMPLOYER. However, CONSULTANT cannot guarantee any particular result due to the EMPLOYER'S ultimate control of the facility and staff. CONSULTANT shall travel to the EMPLOYER's site on occasions during the term of this agreement and shall remain for working days per trip. The dates for these trips shall be agreed upon by the parties. During such trips EMPLOYER shall make key personnel available to the CONSULTANT. Arrangements for providing transportation and lodging shall be made by the EMPLOYER in advance. CONSULTANT shall be available for telephone review of any matters related to this agreement at reasonable times. CONSULTANT shall within days of the commencement of this agreement provide a comprehensive written report as to the present status of the facility and suggestions and goals for improvements, consistent with the goals communicated to the CONSULTANT by the EMPLOYER. CONSULTANT shall provide periodic written reports to EMPLOYER, no less frequently than weekly. CONSULTANT shall receive a hourly rate of $_____________________________________________________ (dollars) per hour for time reasonably spent, billed monthly to be paid ______________________________________________________. Unless approved in advance by the EMPLOYER, the maximum number of hours per shall be _________________. In addition, consultant shall be reimbursed for reasonable out of pocket expenses. CONSULTANT at his option may discontinue services if any statement is more than days overdue. The principal of the firm who shall provide the the major portion of the services shall be unless otherwise agreed. Either party may terminate this agreement on notice for a material breach of the contract, or, days notice without cause. CONSULTANT may not advertise the fact of this consulting without the prior consent of the EMPLOYER. CONSULTANT shall not provide services to any competitor which does business within miles of the EMPLOYER's primary places of business during the term of this agreement, or for months thereafter without the prior consent of the EMPLOYER. The parties may from time to time exchange confidential business information such as plans for future events. As to such information neither party shall disclose the same, unless the information becomes part of the public domain without the fault of either party, or was known to the party prior to the execution of this agreement. This is the entire agreement between the parties and may not be altered except in writing.